Droitwich Spa (often abbreviated to Droitwich). 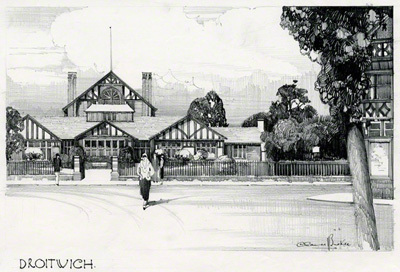 This is the second drawing of Droitwich. The exact location in the town is unknown but probably near to Victoria Square. Created in 1933.